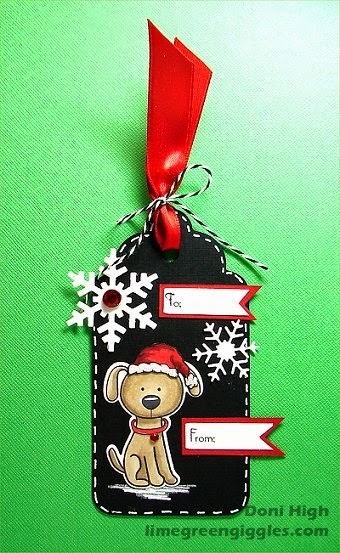 I used a Sizzix die for the tag. The snowflakes are a My Favorite Things Die-Namics. from Simon Says Stamp called Cat and Dog Pawsome. The Santa hat is a digi stamp that I sized to fit. to make the white dashes around the tag edge.